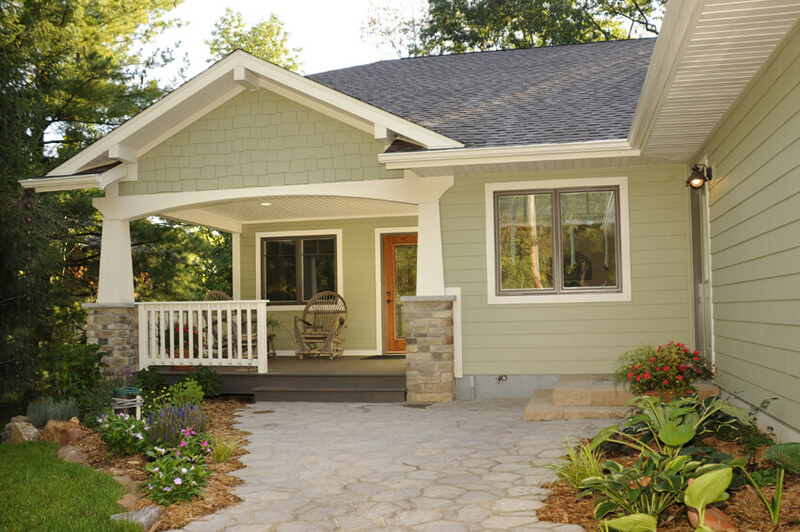 Another quintessentially American style, the Ranch style reflects a traditional and practical approach to house design. The modern Ranch style evolved in the post-WWII era. Land was plentiful so, on large suburban lots, there was no need to conserve space by building upwards. 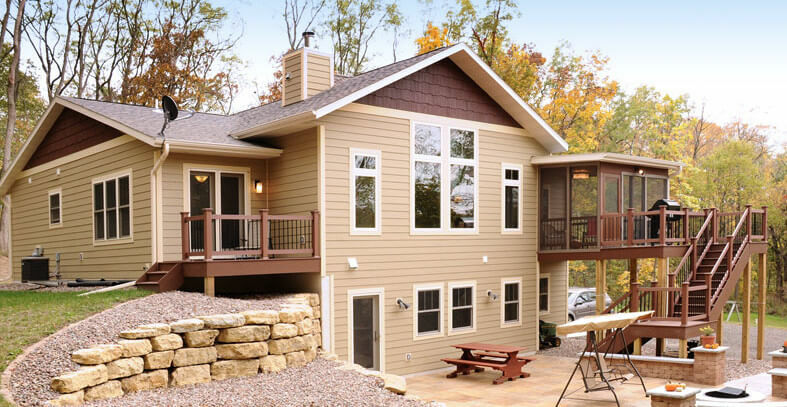 Ranch home plans expanded outwards on a single story, causing them to be known in some regions as Ramblers. 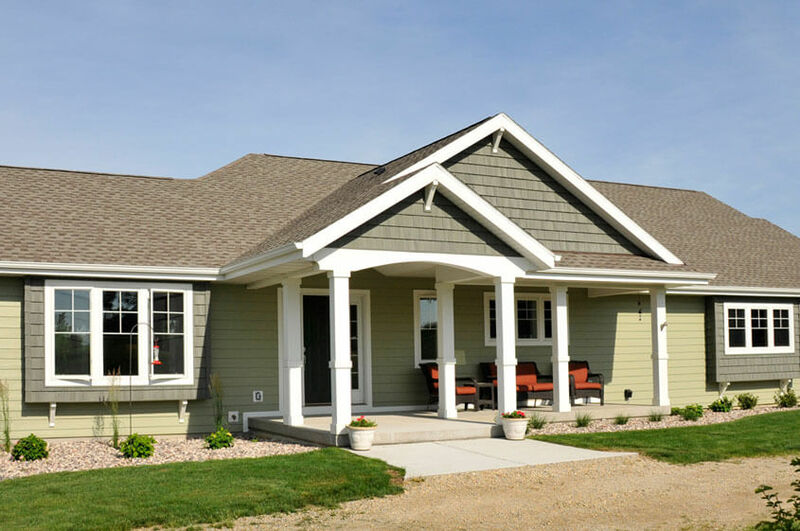 The Ranch’s hallmarks are a convenient single level, low-pitched roof, attached garage, picture windows and sliding glass doors to backyard patios. Brio’s take on this American standard adds space (usually including a lower level), and visual and architectural interest. Bump-outs, bay windows (and the warm and lovely window seats they can allow), covered patios, and the use of stone and brick elevate the once cookie-cutter image of the Ranch to one with an abundance of personality.